A few weeks ago, Essence magazine announced their Essence Literary Awards and Save Our Libraries campaign. Recently, they posted the nominees for each category on their website. Henry Box Brown is well known and remembered as a slave who mailed himself from Virginia to Philadelphia, Pennsylvania to seek his freedom. Written by Ellen Levine and illustrated by Kadir Nelson, Henry’s Freedom Box recreates the story of his escape. Henry Brown doesn’t know how old he is. Nobody keeps records of slaves’ birthdays. All the time he dreams about freedom, but that dream seems farther away than ever when he is torn from his family and put to work in a warehouse. When Henry grows up and marries, he is again devastated when his family is sold at the slave market. Then one day, as he lifts a crate at the warehouse, he knows exactly what he must do: He will mail himself to the North. After an arduous journey in the crate, Henry finally has a birthday – his first day of freedom. In her first book for children, Patricia Storace moves the familiar tale of Rapunzel to the Caribbean islands. Storace’s tale is complimented by the illustrations of Raul Colon who has illustrated more than twenty-five books for children including Nikki Grimes. Stolen away from her parents on her first birthday by island sorceress, Madame Fate, beautiful Sugar Cane grows up in a tower overlooking the sea. With only a pet green monkey named Callaloo for company, Sugar Cane is lonely — her sole consolation is her love of music. Often she stands at her window and sings, imagining that the echo of her voice is someone answering her. Then one night, someone does hear her song. Could this young man with a gift for music break the spell of Madame Fate and help Sugar Cane set herself free? 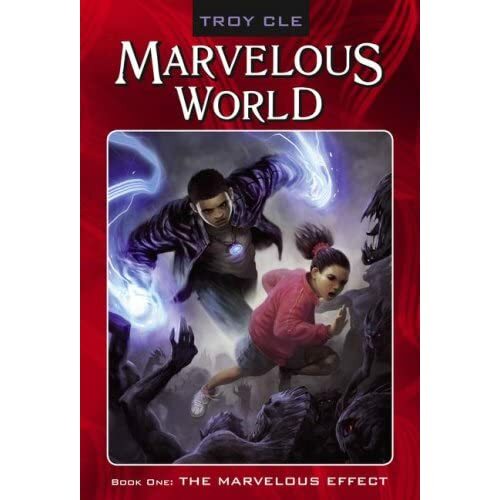 Published in May 2007, Marvelous Effect is the first title of Troy Cle’s Marvelous World series and it is being hailed as the Black Harry Potter, but with Louis Proof at the helm of the book’s adventures. In his interview with Tavis Smiley, the author gives great insight about what Marvelous World is, how he feels about the comparison to Harry Potter as well as what inspired him to create the Marvelous World series. Visit Troy on MySpace and at his Marvelous World websites where you can also read the prologue to Marvelous Effect. This is the worst day of Louis’s life. Without warning of reason, thirteen-year-old Louis Proof falls into a coma due to a virus of a mysterious, celestial origin. When he awakens three months later, the world that he once knew and loved is totally out of control. He will learn that his illness is connected to everything that is wrong, and its not only his responsibility but destiny to set things right. Keep up with what’s going on with Nnedi by reading her blog which chronicles her accomplishments and her life as a writer. 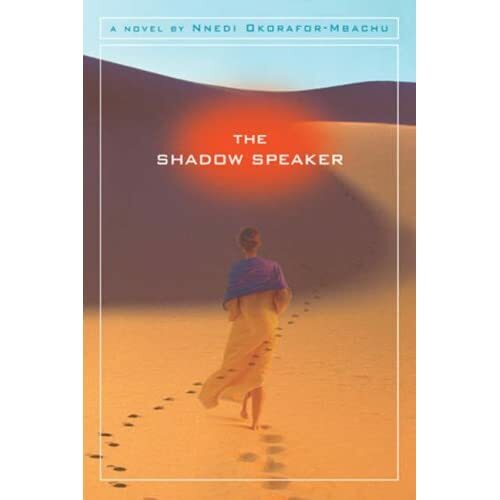 The Shadow Speaker is a mythical science-fiction story taking place in Africa. Nnedi Okorafor-Mbachu spins a tale all her own, incorporating magic, politics, and vibrant characters that readers of all ages will adore. Ejii lives in the peculiar world of Kwamfa in the year 2070. After The Great Change, flying carpets in the marketplace and open portals to other worlds are not uncommon. At just 14, Ejii has already experienced more than most adults in an entire lifetime. At nine, she saw the beheading of her father by Jaa, the Red Queen of the Niger. Jaa transformed Kwamfa from a small village to a thriving city. One day, she decided to leave, and that’s when Ejii’s father came to power. Ejii’s father was much more conservative than Jaa, and he believed that women were good for nothing more than being good wives. He limited women’s rights and was a very oppressive ruler. Just as suddenly as she left, Jaa reappeared in Kwamfa to save her people from Ejii’s father’s tyrannical rule. The day of her father’s beheading will remain ingrained in Ejii’s memory forever. While Ejii can see her father’s shortcomings, he was still her father, and he was once a good man. Besides her significant family history, there is something else about Ejii that makes her unique. She is a shadow speaker, with cat-like eyes that frighten most people. Shadows speakers are rare, for they can see in the dark for miles, speak to the shadows, and even read other people’s minds. Some people are afraid of the powers that shadow speakers possess, and call them witches. Now, Jaa rules supreme in Kwamfa again, but there are rumors that she is leaving once more, for some matter of great secrecy. Ejii defies her mother and follows Jaa out of town. Somehow, Ejii knows that it is her duty and that she will play a part in something vastly important. Mbachu’s story of a futuristic world explores important themes in war and politics, while simultaneously telling a coming-of-age story of a young girl. Ejii is able to find a place and purpose for herself in the world, and make a notable impact on the course of history. This is a story that science-fiction and fantasy fans will enjoy, but far from the typical fantasy plot. The choices that Ejii has to make will force readers to reconsider their own values and how they would respond in Ejii’s place. The author of many popular children’s titles, Sheila Moses tells the story of Sallie Gal in a Vietnam era story set in rural North Carolina. 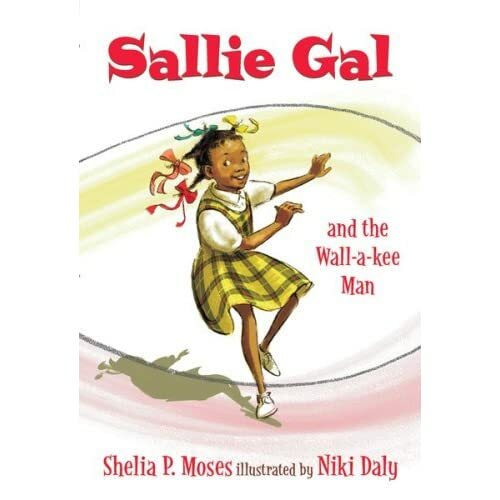 Illustrated by Niki Daly, Sallie Gal teaches children to respect the values taught to them by their parents. Cousins Sallie Gal and Wild Cat live near each other on Cumbo Road in North Carolina. Sallie Gal’s father is serving in Vietnam. Although the eight-year-olds spend many of their summer days chopping cotton, they also play and scheme together. Sallie Gal’s greatest desire is to have hair ribbons just like Wild Cat’s, but money is tight and Momma is proud and self-sufficient. The girls try several ways to earn enough for the coveted ribbons and run into trouble along the way. Customers are few at their lemonade stand, and disaster strikes when Sallie Gal breaks her mother’s glass pitcher. When the Wall-a-Kee Man, a salesman with a whole store in his station wagon, gives Sallie Gal ribbons, she knows Momma will make her return them, so she hides the gift and struggles with her conscience. Appealing black-and-white illustrations in various sizes embellish the text. Moses takes a fond look at strong family ties and the values of honesty and hard work. Short paragraphs and peppy dialogue make this easy chapter book a candidate for reading aloud. I’m happy to see Essence adding this new dimension to their publication’s accolades, but I can’t help feeling that the category needs to be broken up into three categories — picture books, middle grade, and young adult fiction. There are many titles that are published every year that need to be lauded by our own. Maybe next year! Congratulations to the nominated authors and illustrators!